The Hawke’s Bay Express is your best way to get the most out of your call in the Art Deco Capital-Napier, please book via your ship’s shore excursions. As you step off the ship the Express will be ready and waiting at the quayside. As the bell rings and the whistle blows, you will feel yourself transported back to a time when first-class meant swing music, polished wooden floors and crimson-tasselled curtains. 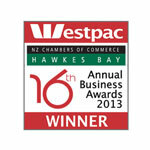 You will head out along the scenic Marine Parade with seascape views of Cape Kidnappers. Then, trundling through the city you will get to marvel at some of the world’s most stunning examples of Art Deco architecture. You will even be taken where no other tour bus can take you: right into the elegant heart of Napier, the main street which is otherwise largely a pedestrian zone. From the town centre you will head over Bluff Hill with a short photo stop on top where the landmarks of the region are pointed out to you; then on into Ahuriri, once the old port village, now a haven for summer tourists. The engaging commentary outlines the history of the 1931 earthquake and the city’s rebuilding and you will hear about many aspects of life in the region such as it’s workforce, industries, lifestyle and culture. Your short tour stop is at the Customs house with pictorial stories of the region over time. From here, the tour will continue through the vibrant bar & restaurant area and sailing port of Ahuriri, back towards Napier’s Marine Parade. 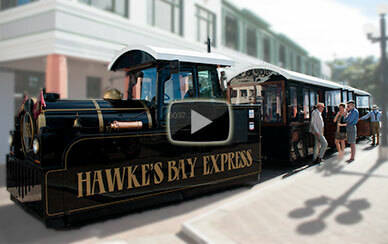 You may conclude your tour experience aboard the Hawke’s Bay Express near the i-Site on Marine Parade (Cruise ship shuttle stop), disembarking to explore Napier further on foot and maybe indulging in a spot of shopping. All points of interest are within 400 meters. Alternatively, you may stay aboard the Express, sit back and relax a little while longer, and let this stylish road train bring you right back to the quayside in one easy “door to door” service. The demand for our tours is such that we are often fully booked by the cruise ships for the time they are in port so please book to avoid disappointment. An Art Deco tour like no other! 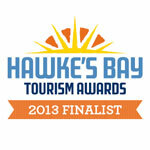 Select the image below to get a feeling for what a Hawke's Bay Express tour is all about.